Church-produced film Courageous finished fourth overall and first among new releases at the box office in its opening weekend, earning more than $9 million dollars and beating out three other high-profile new releases, Dream House, What’s Your Number, and 50/50. 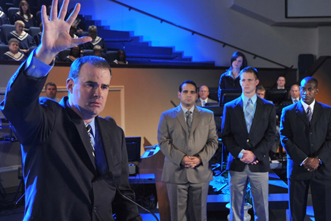 Courageous, the story of four police officers who promise one another to become godly men after one of them endures a family tragedy, was produced by Sherwood Baptist Church in Albany, Ga., the producers of the hit films Fireproof and Facing the Giants. Weekend numbers for Courageous beat Fireproof’s opening numbers by over $2 million. Next articleDo You Train Your Groups for Success?